Many of us are familiar with the old Christmas carol, The Twelve Days of Christmas, and we may also be aware of varying theories about the derivation of the lyrics and tune. A number of resources report – some correctly and some incorrectly – the reason for the song’s origins, but in this holiday season we will put argument aside and enjoy celebrating the symbols we find. 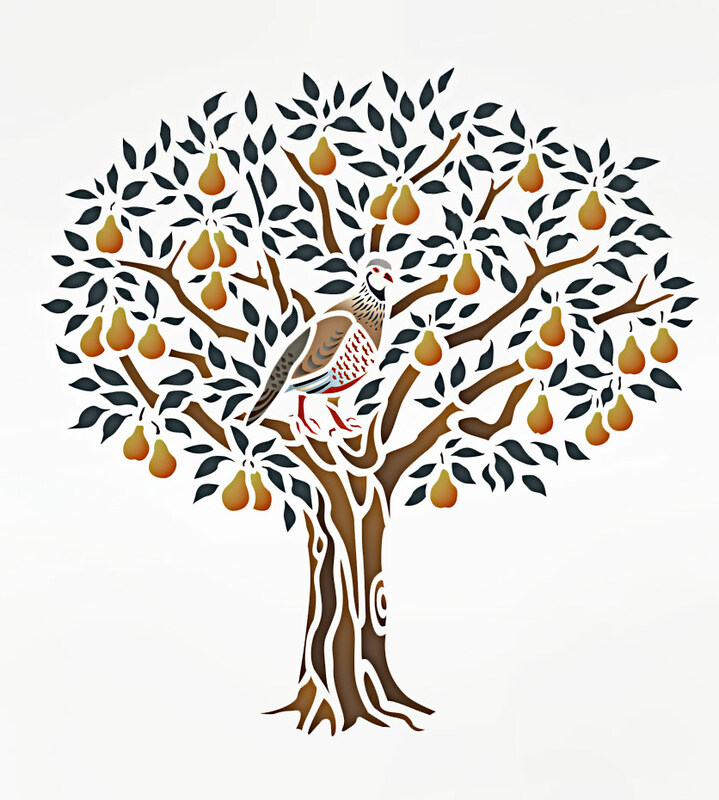 The first gift is a partridge in a pear tree, and is symbolic of Jesus Christ, the Son of God. The mother bird of this species will feign injury to lure predators away from her young, and some say that it reflects Jesus’s words when he laments in Luke 13:34: “Jerusalem, Jerusalem! You kill the prophets, you stone the messengers God has sent you! How many times I wanted to put my arms around all your people, just as a hen gathers her chicks under her wings, but you would not let me!” (Snopes) Yesterday we reflected on Christ as our savior or Messiah and we recognize his willingness to endanger himself in order to save the faithful. On this second day of Christmas, we celebrate the presence of Christ as Logos in both the Old and New Testaments. Footnotes tell us that here that John the Evangelist lays out the themes that develop as his Gospel continues: life, light, truth, the world, testimony, the pre-existence of Jesus, the incarnate Logos who is God’s revelation and his expression of his love for us. When we think of the stories we hear and read in this Gospel, we know for certain that God is calling us to be diverse, to tend to that diversity and to place our hope in this diversity – because it is in this diversity that the Spirit manifests itself best. God, most especially in the person of Jesus, calls us to intimacy. God asks us to commune with one another in a way we think is impossible. God asks much of us, both also gifts us with much. In this Christmas season, let us consider the gift of Logos, God’s Word, to all of creation brought to us in the sacred scriptures of the Old and New Testaments. “The Twelve Days of Christmas.” snopes.com, 17 Dec. 2017, www.snopes.com. Includes notes from autumn of 2007. No matter how often we read these words they bring us new beauty. Footnotes tell us that the writer lays out the themes that develop as the Gospel continues: life, light, truth, the world, testimony, the pre-existence of Jesus, the incarnate Logos who is God’s revelation and the expression of God’s love for us. When we think of the stories we hear and read in this Gospel, we know for a certainty that God is calling us to be diverse, to tend to that diversity and to place our hope in this diversity – because it is in this diversity that the Spirit manifests itself best. God calls us to intimacy, and Jesus calls out this same petition in his brief life. God asks us to commune with one another in a way we think impossible, and we can only do this if we rely on Wisdom. This morning’s first reading was from Wisdom 3:1-12, The Hidden Counsels of God on Suffering. Looking at verse four of that reading we are reminded that our hope is what makes us immortal. This hidden counsel of God manifests itself in Jesus, the world’s only true hope. Jesus, the Suffering Servant, comes to us to serve – not to be served. And so must we serve rather than be served. No one has ever seen God except through Jesus Christ, the apostle John tells us; yet God speaks to each of us through Jesus. It is fitting that Jesus represents this hope of God. It is correct that we awake and rise each day to look to Jesus. It is right that we act and live in hope, for it is this hope that makes us immortal. Adapted from a reflection written on September 20, 2007. The school in which I teach has a front portico with seven columns as a direct, overt message that we seek knowledge. (See Proverbs 9.) The school motto is: Veritatem prosequimur – Pursue truth. For an institution of learning, the image of Wisdom building her house is apt. Today we explore several verses from Chapter 12 as we reflect on the value of taking advice. Acceptance of a valid critique is a sign of strength rather than weakness. Building our spiritual house on Christ is a sign of our confidence in The Word. Sharing The Word with others is an invitation to the Spirit. Living The Word brings us fortitude rather than fear. Living as Jesus teaches is a sign of courage rather than submission. Sharing The Word in the Spirit is a sign that the Kingdom of God is here. The Kingdom of God is now. When we compare other translations of these verses, we find that a love of learning is essential for workers in the Kingdom. We want a story to have an end, and so it may perplex us to read the closing verses of this book which is an accounting of how the Holy Spirit came to dwell among us. I like the fact that there is no denouement which closes things in a precise manner, because this puts the conclusion of the narrative where it belongs . . . in our hands. What do we bring to the Good News? How do we continue the story? How does the Spirit remain in us? How do we witness? How do we become Christ’s hands and feet and voice for the world? We hold in our hands the power to heal one another by our willingness to listen actively and to act compassionately. This was part of last evening’s prayer in MAGNIFICAT and it speaks to the apostles’ desire to continue to tell the story they had lived with Jesus, the story they continued to live with the Resurrected Christ, the story we may all live today if we might only remain in our lodgings to proclaim the kingdom. I do not mean by this that we sit at home waiting for seekers to knock at our door; rather I do mean to say that we might remain in Christ as we live each moment of our lives . . . and thus we bring Christ to the world. To remain with one another . . . this is what it means to remain in Christ. We are called to bring our diverse gifts and our diverse selves into union with one another. This has been so from the beginning, it is so now, and it will always be so; therefore, let us gather together and remain. A Favorite from March 26, 2009. Cameron, Peter John. “Meditation of the Day.” MAGNIFICAT. 25.3 (2009). Print. As Easter approaches, and as we witness the swirling tides of power grow and collapse around us, we remember this reflection from March 14, 2008; and we remember that we are children of God, living with God’s loving promise. This is a story or power ebbing and rising. It is also a story of corruption, convolution and byzantine conniving. And it is also the story of God’s providence, God’s openness to the impossible being possible, and God’s awesome ability to turn all harm to good. Just reading the first chapter of this book gives us a sliver of our history as Yahweh’s people. It can even give us a context for the corruption in our church structure today. We know who we are as God’s children: we are created, we are loved, we are longed for, we are anointed, we are blessed, we are saved, we dance an intimate dance with our God. The greater question for us may be: Who am I in God’s creation? Sometimes these answers are more difficult to live with. If we believe, for example, in the sanctity of life, we must also believe that torture is an unjust way of interrogating people. If we believe that the Christ is present in the world today through us, we are still all God’s children, even if we cannot all agree about all of the details of an issue. When we read about the people in these historical books, we come away with the assurance that no matter the era or epoch, we are all God’s people under the same skin. We all err. We all have the opportunity for redemption. We may all make reparation. We may all forgive and be forgiven. We are all God’s children. 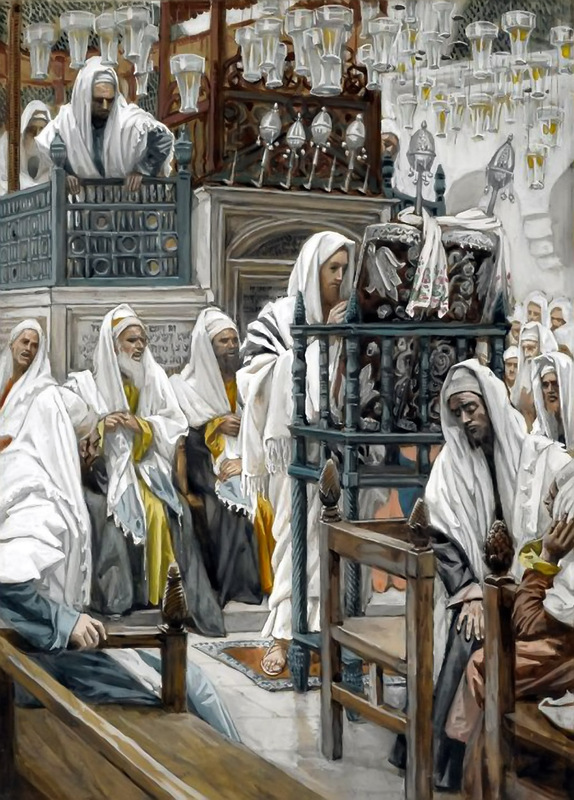 When we read ACTS OF THE APOSTLES to remind myself of the many struggles which the early Church had during its formation, we can see clearly the presence of the Holy Spirit, God’s nurturing, abiding presence hovering constantly around these early apostles. We see power transferring from the Pharisees and their separatist thinking to the apostles and their universal salvation thinking. And even among the early Christians there was dissent: the necessity of circumcision, the need for baptism by the spirit, and so on. The Holy Spirit shepherded these people . . . and shepherds us today. In both the Old and New Testaments we read of the human qualities of contrivance, deceit and falsehood . . . and we also read of honesty and redemption. Nathan, Bathsheba, Adonijah, Solomon, Zadok are all characters in this tale from long ago . . . and they are the people we see before us on the television screen each evening when we tune in to hear the day’s news. When we watch these people of then . . . or of today . . . how do we see ourselves responding? How do we witness to The Word? How do we react as children of God? We might ponder these things tonight in our evening prayer. He’s done it all and done it well. He gives hearing to the deaf, speech to the speechless. God has gifted us with the gift of words . . . today we reflect on the purpose of this gift . . . and the use of our own words in our daily lives. “Watch your words diligently. Words have such great power to bless or to wound. When you speak carelessly or negatively, you damage others as well as yourself. This ability to verbalize is an awesome privilege, granted only to those I created in my image. You need help in wielding this mighty power responsibly. In her wonderful devotional, JESUS CALLING, Sarah Young bases daily reflections on scripture. She brings us wisdom that we might want to use in a modern climate of insults and one-liner sound bites are meant for broadcast news. Jesus comes to as THE WORD of the loving presence that created us in an image of goodness and compassion. When we take in the words that flood around us it is so frequently difficult to distinguish truth from lie; but what is easier to distinguish is ego versus selflessness, greed versus generosity, false fruit versus abundant fruit. When we are confused about whose words we are to believe or reject, Young presents us with a distillation of God’s message: we must rely on the Spirit for guidance, we must depend on Jesus as an example, and we must trust in the Creator who has created us in God’s image in and for love alone. Tomorrow, healing the paralyzed man. Young, Sarah. Jesus Calling. Nashville: Thomas Nelson, 2004. Print. It is always about the conversion of the heart, the transformation of the mind. Seeing with our eyes and hearing with our ears does not bring us closer to God. Experiencing the world with our hearts . . . this is what calls us into a state of permanent discipleship. Human nature being what it is, we find myriad excuses and reasons for not doing the work of discipleship. The eye and the ear bring us sight and sound which we are accustomed to reasoning away with lines of thought we are practiced in using. What good can one person do? This is what people in my neighborhood do and I do not want to offend them. This way is more convenient for me. That has no effect upon me. I like to shop there. It’s none of my business. It’s not hurting anybody. These are the phrases that trip off our lips easily. Even Jesus with the fullness of the presence of God was not able to turn all hearts and minds to himself and The Way. He lived and worked and played among an incredulous people hardened by the tortures of the world. Even some of those among whom he prayed did not believe . . . and this was after seeing with the eye and hearing with the ear. In John 20:29 Jesus tells his disciples that those who believe without seeing or hearing are blessed indeed. And so we have this to ponder. As Jesus passes among us each day, how do we respond? Are we the incredulous comfortable crowd? Or are we the restless, open listeners . . . waiting for The Word? A Favorite from September 1, 2008.